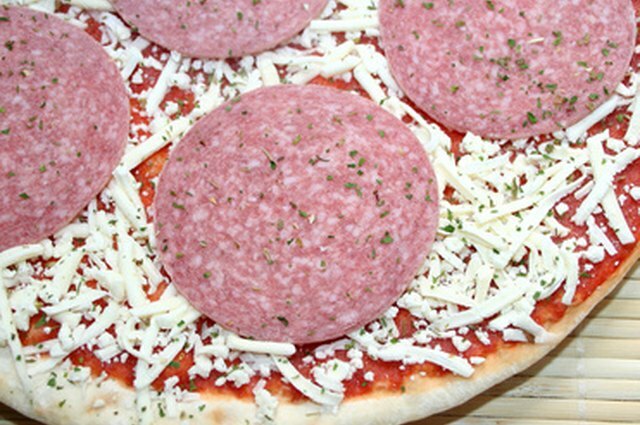 Your frozen pizza options are not limited to simple choices such as cheese or pepperoni. In many major grocery stores, you will also be able to choose from pizzas with interesting toppings like asparagus, grilled chicken or barbecue sauce. 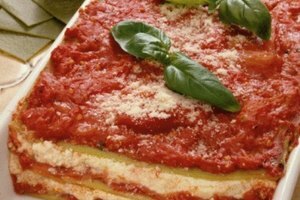 You may even be able to choose from unusual crusts like rice flour or cornmeal. No matter what kind of pizza you're preparing, a properly heated oven will yield the best results. Preheat your oven to the temperature indicated on the pizza's packaging. If you've lost the instructions that originally came with the pizza, preheat your oven to 375 degrees. 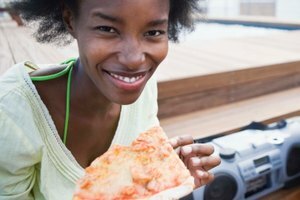 While some frozen pizzas call for a lower temperature and some call for a higher temperature, your frozen pizza should do just fine at 375 degrees. 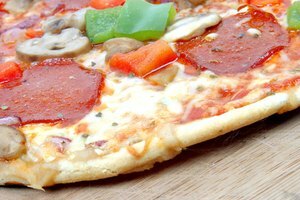 Remove any plastic or wrappings from your frozen pizza when your oven is sufficiently preheated. The preheating process should take at least 10 minutes. Place the pizza into the preheated oven. 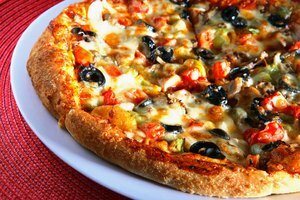 You may place the pizza on a baking sheet for a softer crust, or directly on the oven rack for a crisper crust. If you place the pizza on the rack, try to align the edges so they rest on bars of the rack. This will help prevent the edges of the pizza from drooping between the bars and spilling cheese or toppings onto the bottom of your oven. Bake the pizza for five minutes, then open the oven door and check on it. It will probably not be done at this point, but it is better to check soon rather than let the pizza burn. 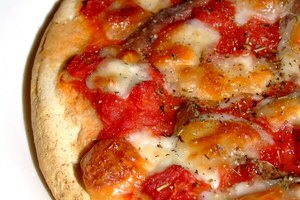 When the pizza is done, the crust should be golden brown and slightly stiff to the touch rather than squishy or soft. The cheese should be completely melted and golden brown in some places. Continue baking the pizza if it is not yet done. Check it every five minutes until it is perfectly cooked. Remove the pizza from the oven, let it cool for a few minutes, slice it with a pizza slicer or knife, and serve.